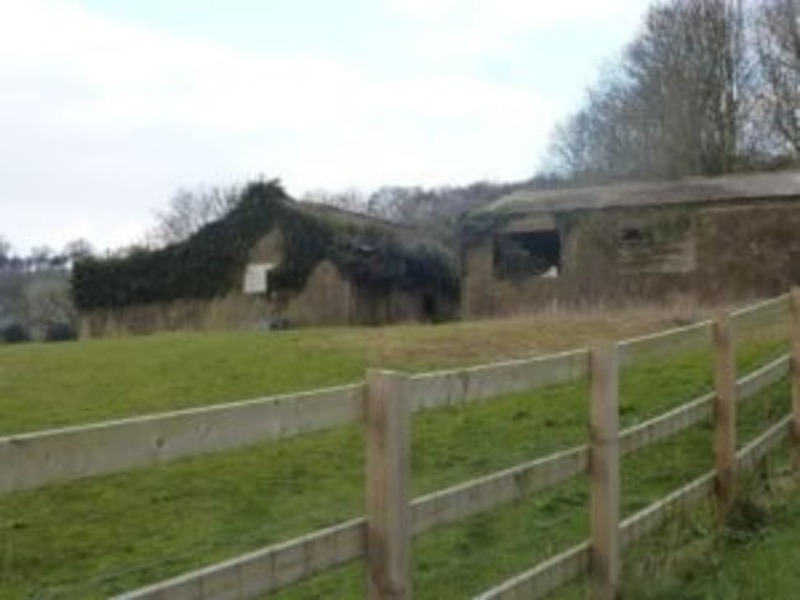 Permission has been granted to replace vacant farm buildings with a three bedroom house on farmland in the Area of Outstanding Natural Beauty (AONB) overlooking the Pilgrims’ Way in Brabourne. Ashford Borough Councillors voted by eight to one to approve the application for Hillside Lime Works after recognising that the new home would not harm the community, nor set a precedent, but would improve the visual impact on the area by demolishing the existing redundant buildings, adjacent to a former lime quarry. Although planning officers recommended that the application be refused, the proposals did have the support of the local ward councillor and Parish Council, and was approved by the Planning Committee. Ashford-based Hobbs Parker Property Consultants, which represented the applicant, said: “The Borough Councillors acknowledged the support of the Parish Council. Visiting the site gave them the opportunity to weigh up the impact of a new home against the potential of new commercial development on the site, or leaving buildings to decay. A planning appeal in early 2012 by another applicant had previously rejected a proposal for a new home on the site. However, Hobbs Parker successfully showed that the later design had taken into consideration the Planning Inspector’s concerns. Work can now get under way on the construction of a new single storey house, which will provide three double bedrooms, one with an en-suite plus a family bathroom, a living room, kitchen-diner and utility room, with a glazed entrance hall. With a large private garden, this home will have views over the surrounding countryside from its elevated position. The applicant was advised by Canterbury-based Alan Foster Architects. Landowners interested in assessing the opportunities for development projects, requiring planning advise, should contact Hobbs Parker Property Consultants on 01233 506201.